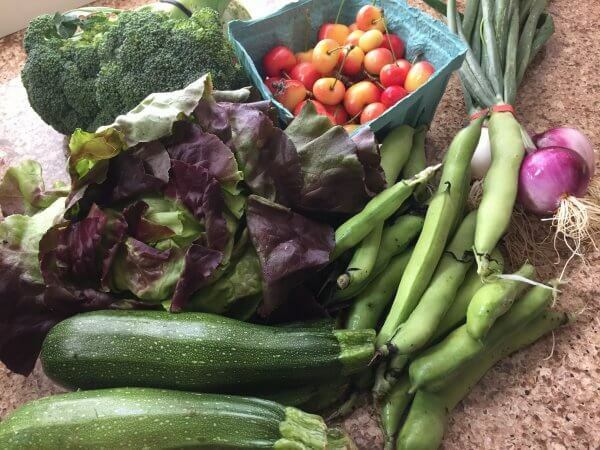 Friends feed you spiritually, and sometimes physically: Thanks Elise G., for assigning me your weekly farmers’ bounty while you’re out of town. What produce, what fun! 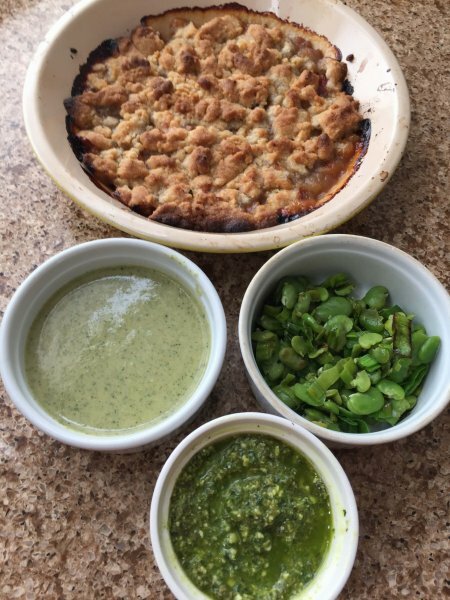 First, a riff on cold vichyssoise with peeled zucchini in place of potato, then a fava bean saute for pasta with my own basil-mint pesto. For dessert, a crumble with those exquisite cherries. A perfect summer meal, but don’t despair, girlfriend: there’ll be plenty left for your return. 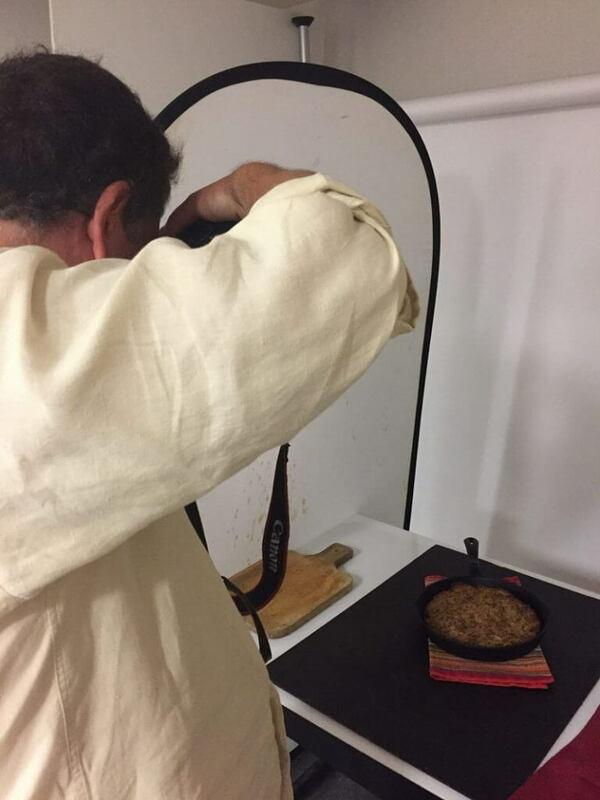 My potato kugel will be glammed up in Westchester magazine’s September issue, but the photo shoot was modest… no entourage but for napkins, trivets and tablecloths. Thing is, kugels don’t need a posse, just a knife and maybe some sour cream. Somewhere, my grandmas are smiling. 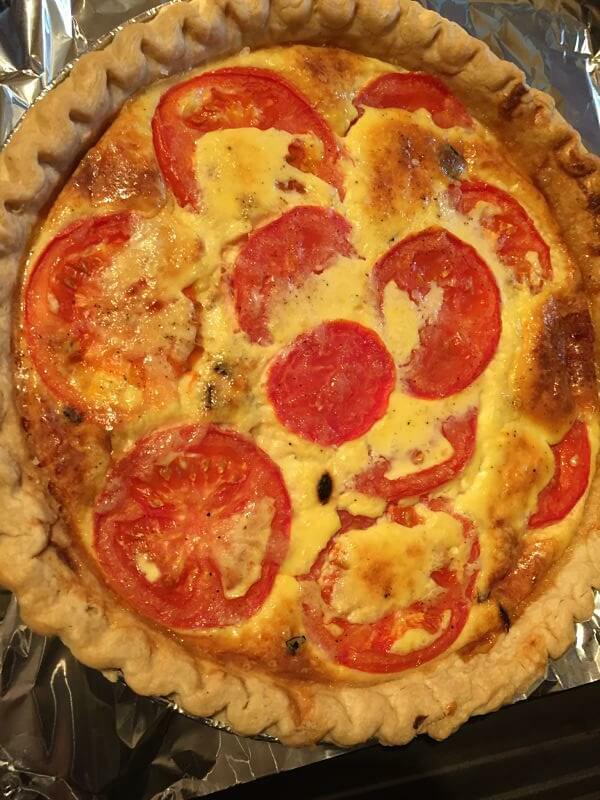 Let them eat cake, the woman said, but we amended it to quiche. Okay, there was cake too– this was a BFF’s birthday– but first, my tomato/caramelized onion/gruyere brunch contribution. A hefty slice, a thatch of salad, a flute of prosecco, and I’m ready for that piece of chocolate mousse/raspberry sponge– someone else’s contribution and delicious too. Hey, I’m always willing to share the glory! Proving cooking looks harder than it is, an ideal example: Roasted chicken thighs and sweet potato wedges. 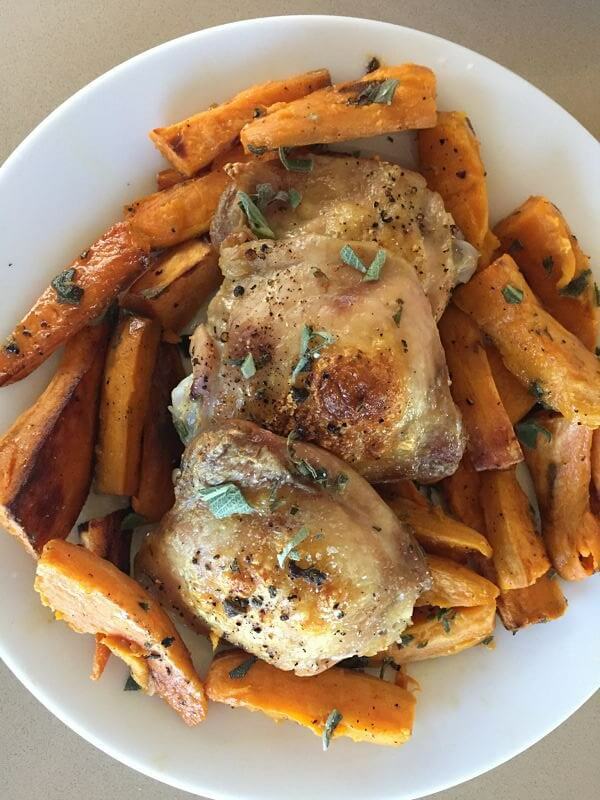 Two steps: Step 1: toss chicken and sweet potato wedges (don’t even have to peel the spuds! 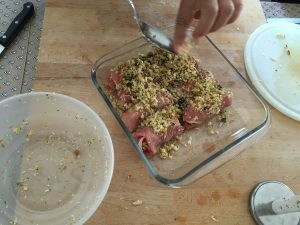 ), with olive oil, salt/pepper and chopped sage. Step 2: roast together on one foil-lined sheet pan in 450 degree oven about 45 minutes. Consume! Preferably with a glass of chardonnay. Dine now, thank me later! Woke early to shovels grating asphalt… yes, snow! The Hudson cloaked in haze, the sky pewter, frost glistening on the sills. Lovely, but both boys are away in tropical climes, evening plans cancelled, friends cocooning…. Just one companion beckons: oh loyal soup pot! Snowflakes whirl now and so do I: Stock defrosting, roots harvested from the fridge: turnips, carrots, parsnips. Some garlic and red onion too, Italian herbs and collards torn in to finish. 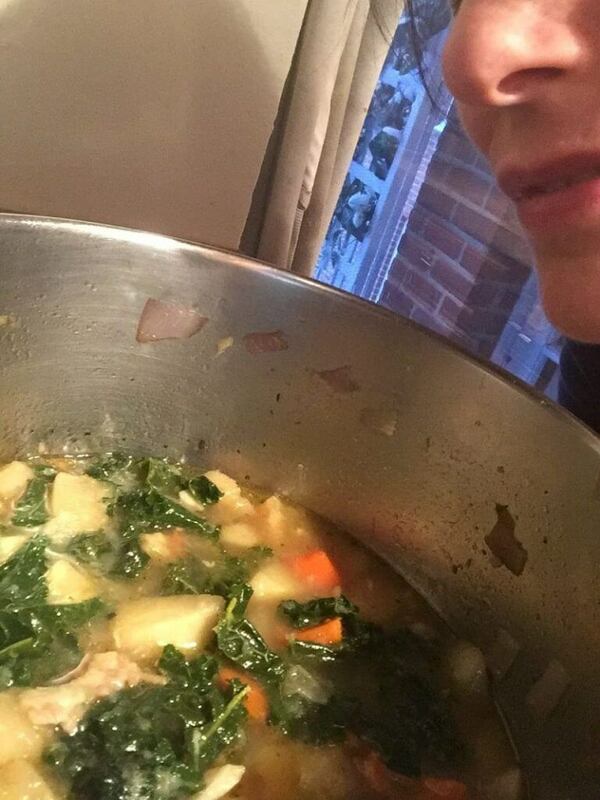 My pot simmers and I inhale, cloaked in my own haze of contentment. 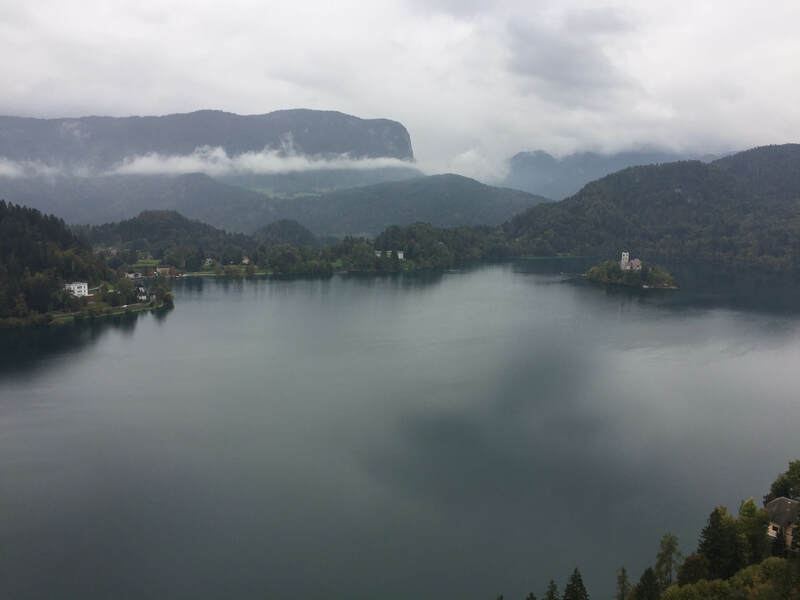 Slovenia is intent upon promoting its nascent wine industry, and we visited two of the most prominent makers in the regions of Vipavska Dolina and Brda. 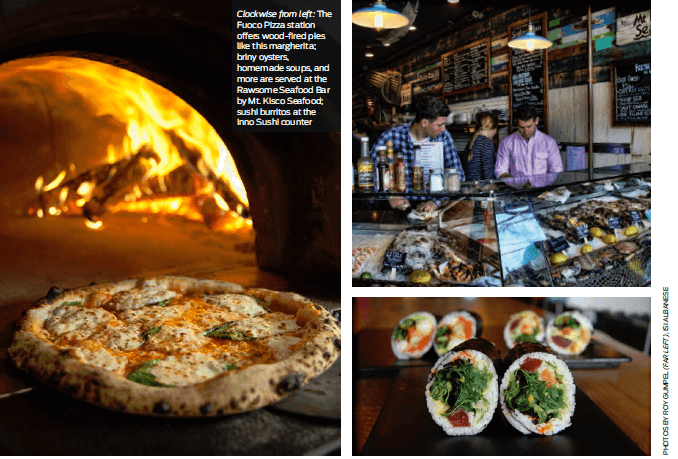 Rustic upstart Tilia Estates already exports its pinot gris and noir to many of our cities, and the Bjana label’s sparkling wine, of chardonnay and rebula (aka ribolla gialla in neighboring Italy) has won international acclaim- and mine. I sipped it in the family’s vast Brda cellars and elegant adjoining home, the wine modern, the buildings 13th Century. All that wine was tempered with a cooking lesson preparing, then consuming, frtalja, the Slovenian take on frittata. Assisted by cooks at Brda’s San Martino Hotel, happily back in my kitchen element, I added garden-snipped herbs, milk, egg yolks and whipped whites to old bread and was soon scarfing down the golden result with a patient, starving Andrew (an expert scarfer of frtalja and all foodstuffs, I found). Major scarfing continued at dinner, a contemporary tasting menu and wine-pairing at Kabaj (ka-by-a), a restaurant and winery known for its “orange” wine (white-grape skins left on for a longer time, I’m told). Day 6 found me happily roaming with the Zoff family’s pastured cows, sad to soon be roaming back to the airport. 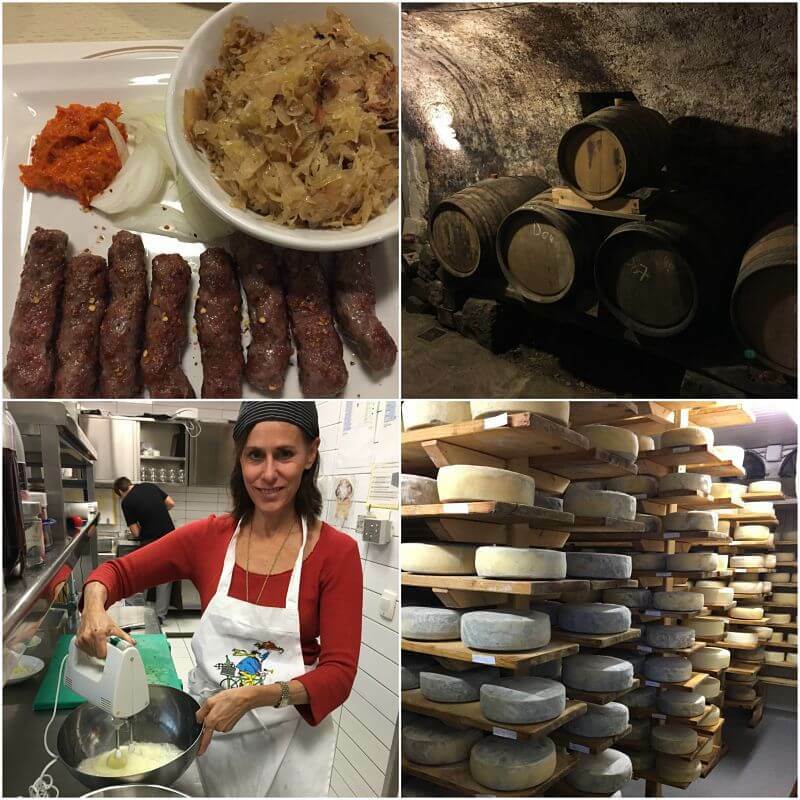 We were in Friuli, in Italy, where I’m always happy, sampling Zoff’s raw-milk cheeses and yogurt and wishing they’d export the delectably tangy Cormons herb-rind cheese I squirreled home and have selectively shared with my loved ones. Back in Brdna, the artsy ancient town of Smartno’s Culture House offered an olive oil tasting and lovely traditional lunch of white polenta with prosciutto and wine vinegar sauce. Dessert was a killer flourless chocolate-walnut cake drizzled with orange-infused olive oil. So sweet and filling: the appropriate finale to this intriguing, enlightening sojourn. I say “pojdi”- that’s Slovenian for Go! 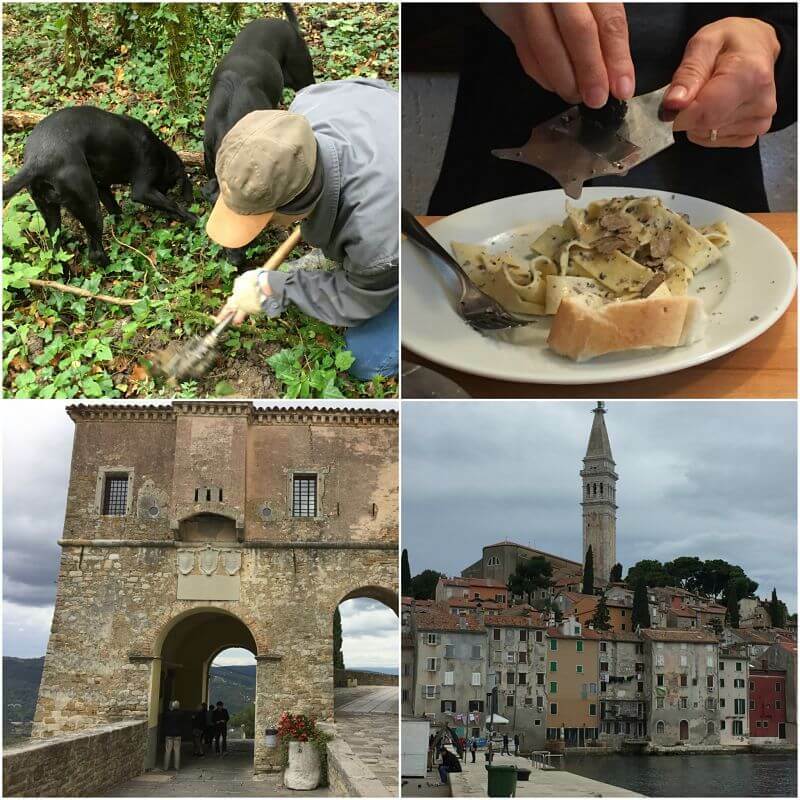 As all who saw my Facebook posts know, the trip entailed a week of introduction to the country’s traditions and heritage, both culinary and historical. I was there to vet possible tours for the travel firm Active Gourmet Holidays (activegourmetholidays.com) , and my charming, well-connected ex-pat guide, Andrew, was a fount of efficiency and knowledge. 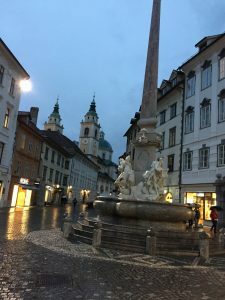 From foodie-tour walks in the capital city Ljubljiana (another indecipherable case in point; fyi: letter j’s are silent), a smaller, bit shabbier Prague; to visits to farmers, including the Slovenian Istrian region’s Slow Food rep; beekeepers (the native Carniola bee is a source of national pride and income)’ and a lesson in making the traditional cake poteca (po-te-tza), I consumed cheeses, cured meats, strudels, and too much schnapps to recall. And this was just in the first two days! Check back for upcoming commentary on the next four! Piaci Pasta Bar may be hiding a nonna in the kitchen by the looks of their fresh pastas, a few of which are gluten free. Supple four-cheese tortellini were amped with basil pesto and the crunch of toasted pine nuts, and fettuccini Bolognese, though a bit too sweet, was a porky swoon. Sated, even my boys declined dessert (especially shocking since bread pudding was on the menu); we’d catch it on our next visit. We did, but not before loading up with more delights on a bustling Sunday evening. Click above and read it all! 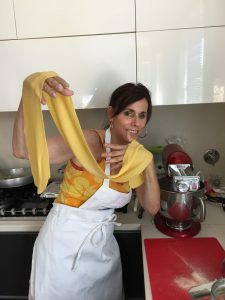 Visiting Florence is always a treat, but I got a special one on a recent trip: a pasta-making lesson, arranged by Active Gourmet Holidays, at Florence Home Cooking. 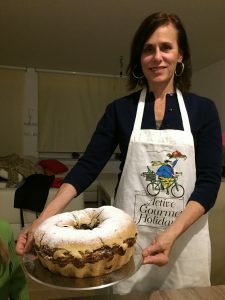 The instructor teaches traditional Italian cuisine to both natives and tourists, and I reaped the benefits of her expertise one morning in her bright home kitchen. While my kids explored the wonders of the Medici, I explored those of semolina, eggs and salt, mixing and kneading my way to tagliolini glory and ravioli joy. Those Medici may have had thrones and jewels; I had garden zucchini and smoky scamorza, home-made ricotta and parmigiana-reggiano from straight up the autostrada. 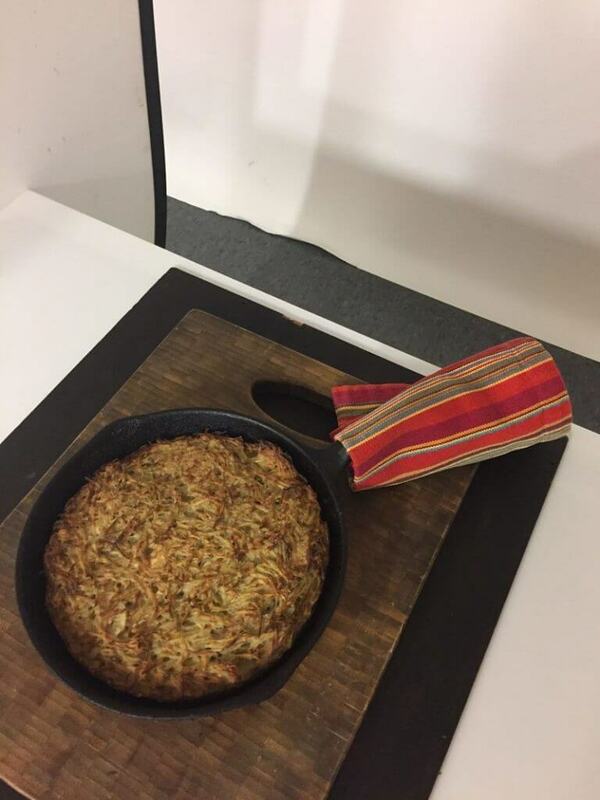 For three compelling hours, we sautéed our vegetables, mixed our fillings, rolled our involtini and then finished our pasta, the only nod to modernity the Kitchen Aid’s stretching attachment, squeezing out – to my delight – lengths of dough like a magician’s stream of scarves. And then the final delight: admiring and sampling our labor, the teacher’s husband stopping in to join us along with another Italian wonder: a vibrant Chianti.